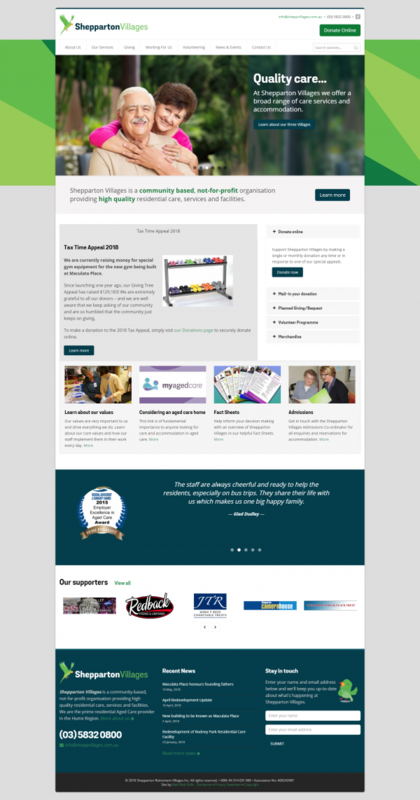 Shepparton Villages | Mad Web Skills | Web design, development and hosting in Shepparton, Melbourne, Bendigo, Echuca, Benalla, Central Victoria and beyond. 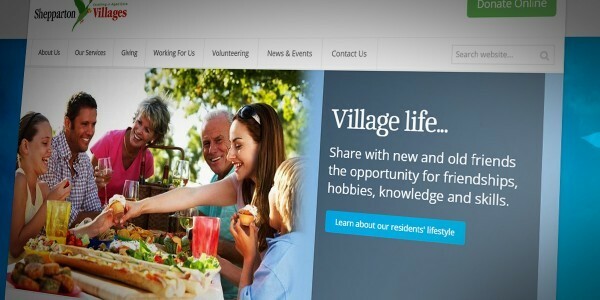 Mad Web Skills has a long, happy history with Shepparton Villages, dating back to 2004 when we designed and built their first website. Now in it's sixth version, the Shepparton Villages website has been improved with a bright, modern design, a responsive layout and an "Online Donations" facility. Shepparton Villages is a community based, not-for-profit organisation providing high quality residential care, services and facilities. Online donations facility, accepting credit card payments. Content Management System, powered by Mad Web Skills' own DevFlare platform. Flipbook-style publishing of paper-based newsletters. Secure connect to protect submitted client details (SSL).